Perfect for my niece. A little small, but still wonderful. I bought this as a Christmas gift for a friend that recently lost her Mother. She loved it and said that she was going to put it somewhere so that it would be displayed all year. I can't tell you much more because I gave the item as a gift, but it is very cute. It looked like it was well made. I love the ornament! Looks really nice. I love owls! This is a cute owl. I truly love it!! This was a gift for my new grand daughter whose bedroom had been decorated with owls. So she'll have it for her first christmas and then it can go in her room the rest of the time. Perfect. Her Mama loved it too! I bought this for a special little girl in my life and sent to her home in west virginia. It arrived fastly and when she and her mom saw what it was they absolutely loved it. Being an owl it was a great gift because her family really likes owls and collects them and it was soo cute too. this orniment will be used on her tree this year and for many years to come. Thank you for making this one of the best experiences for me and those who are special to me. Arrived quickly and is so cute! The owl is exactly like the picture online and the name of our niece who loves owls was perfect. I am going to hang this on my tree for Christmas. This ornament is so cute. I wasn't a bit disappointed when I saw it. Very detailed. Absolutely adorable. Perfect for a little girl in my life that loves owls. Just enough bling. Perfect color. Great Christmas ornament for a tween girl. Bought this for both of my granddaughters. Only wish date could be added along with the name to make it more of a keepsake. There was no option to put the year on this ornament and the small end of the stick was broken off when the ornament arrived. Perfect for my Pink Owl's lover. 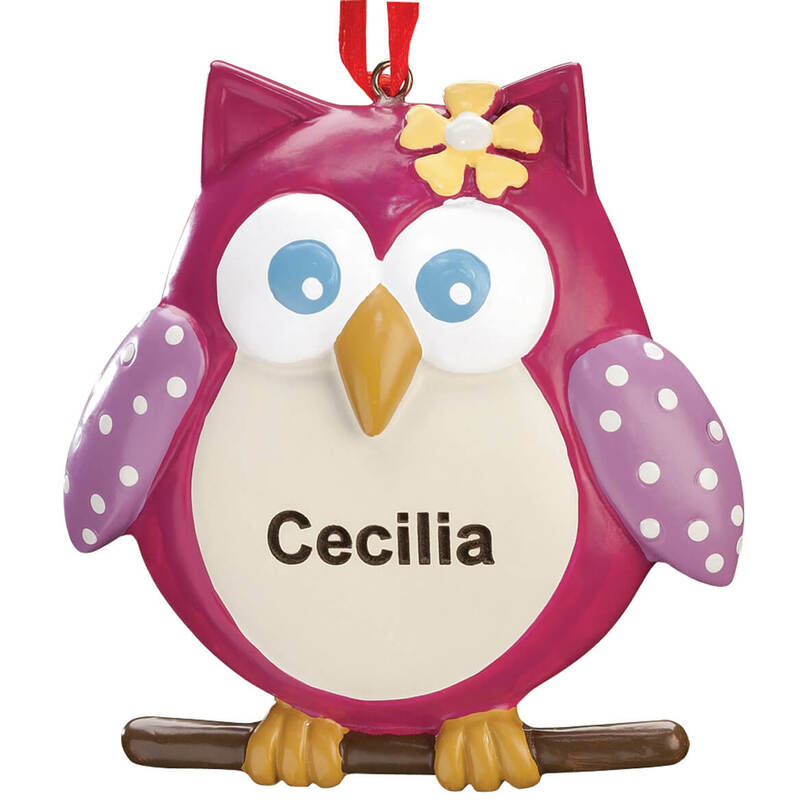 Our granddaughter has owls as part of her bedroom theme and this little owl will certainly make a sweet "HOOT" addition. I have a niece who loves owls and I know she will enjoy this. 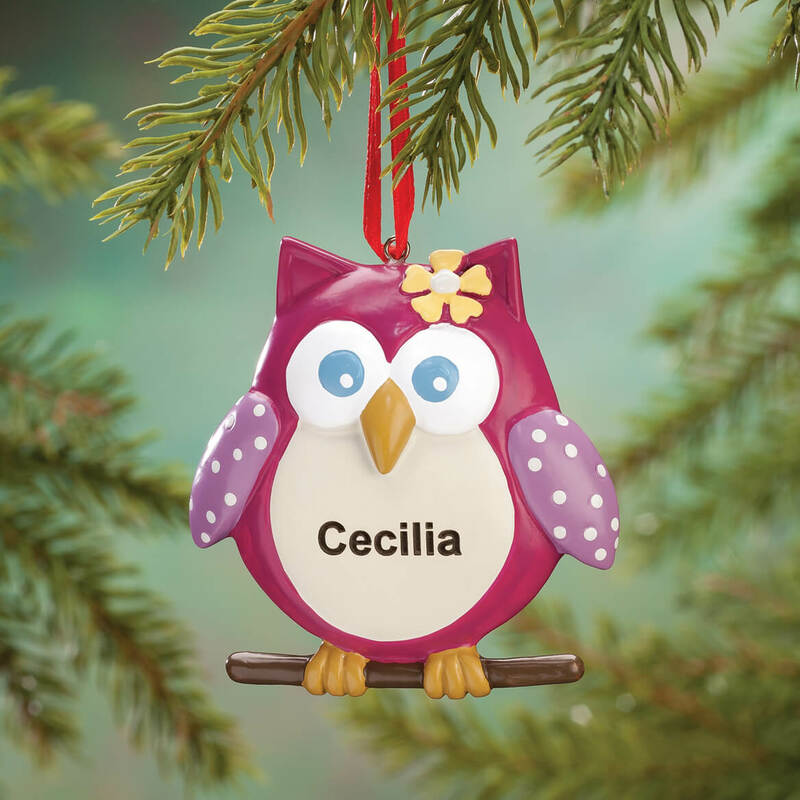 Try to get my granddaughter a personalized ornament every year and she loves owls. Thought this was the perfect choice! I always think of my granddaughter when I see an owl and she has a little owl blanket so this seemed natural to get her this year. My granddaughter collects owls so this was perfect. cute for owl collector in family. My two year owl niece...a ornament every christmas from her aunt! This is a tradition for my nieces and nephews. Each year they get a ornament from me.They love receiving an ornament. I have never been dissatisfied with any of my purchases. My granddaughter is into a lot activities. I’ve always bought a ornament every Xmas. Her getting older, I think this is the perfect ornament for being such a busy little girl. Have a great granddaughter who loves owls. For my 3 year old niece. Good price and cute design. Hope the quality is just as nice! Perfect for a 6 year old! Boo Boo is my macaw - this was the biggest bird I could find to represent him on the Christmas tree. Looks cute and my sister loves owls. It's for my granddaughter and she loves owls! What does the back side of the ornament look like? Is it "concave" in shape, without decoration? If ornament doesn't hang perfectly straight, and facing forward, I wondered what it will look like. BEST ANSWER: I bought it last year so I don't have it to refer to because I gave it as a gift. However, the back is flat and I'm pretty sure it's the same color as the front, and glazed. If not the same color, it is white with glazed finish. It is a solid ornament of high quality. I have given two of them to children of a friend who are two years apart in age. The mom loves owls and they have been well received. They are expecting their third child next year and i will get another for the newbaby next year. The back side isn't concaved in. It has has full shape and color all the way around. 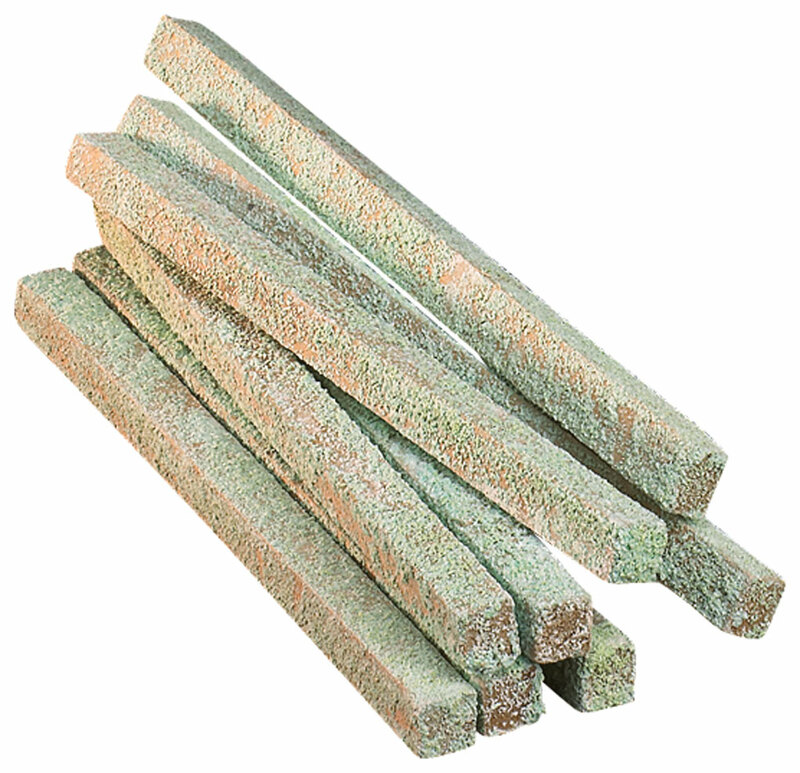 The solid color has glitter on it which makes it shiny and very cute. Also has good details. I'm an owl lover I liked it so much I keep it hung up all year. CAN I GET YEAR ON THIS ALSO? BEST ANSWER: Thank you for your question. Yes, you may enter whatever personalization you would like on this ornament that fits within the ten character limit. We hope this information will be of help to you.